The Ruta 27 has become a blood road in the past 10 days with the start of the heaviest months of the rainy season. Five died and four others were seriously injured on Sunday in a collision between two passengers vehicles in Coyolar de Orotina, at kilometer 56, on the Ruta 27. According to Guillermo Montoya, supervisor of the Bomberos (firefighters), the 3:35 pm crash was between two passenger vehicles – a sedan and an SUV – in total with nine passengers, three kilometers east of the Pozon (Orotina) toll stations. The reasons for the tragic accident are still unclear, authorities blaming it on the weather. 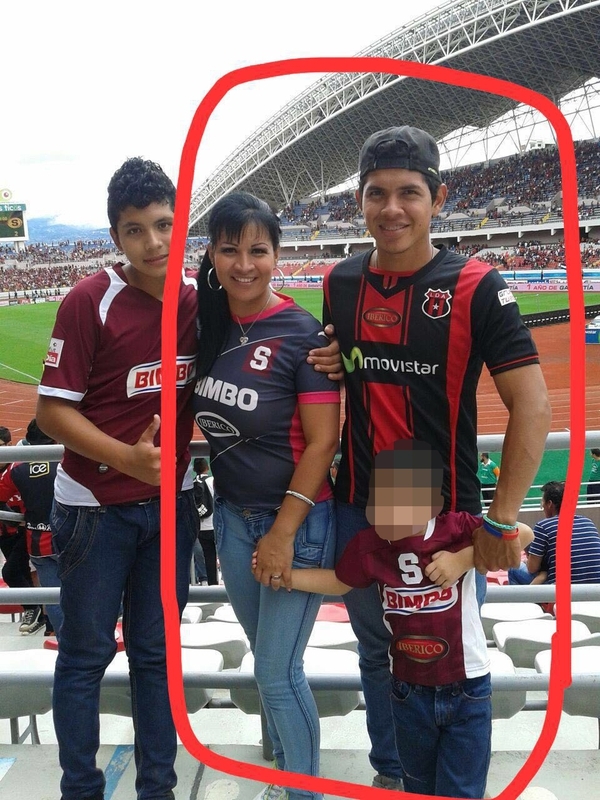 Carlos Hidalgo, spokesperson for the Ministerio de Seguridad Publica (MSP), confirmed three of the victims were identified as Cristina Molina González, 39 and two children, Marco Peraza Molina, 22 and Joshua Peraza, 7. The other two fatalities were Jason Mora Guerrero, 23, traveling with the Peraza family and Gilberto Umaña, driver of the other vehicle. The Honda in which the four people died was driven by Marco Vinicio Peraza Salas, Fuerza Publica (police) official of San Mateo de Alajuela, former husband of the woman and two of the children. According to the Bomberos, Marco Vincio and four other women, whose identities not released to the press, were taken to the Monseñor Sanabria, Puntarenas and San Rafael de Alajuela, hospitals, in delicate condition. Alexánder Quirós, head of the Orotina Bomberos, explained that they found scene heartbreaking because of the number of fatalities and people trapped in the twisted metal. “When the first unit arrived at the scene they found two passenger vehicles, apparently one had struck the other from behind, the dynamics are not known but they did find people trapped in the vehicles,” explained the fireman. The Ruta 27 has become a blood road in the last 10 days, about the time of the start of the worst of the rainy season, with at least 7 people dead in three separate car crashes, all occurring between Atenas and Orotina, a section of road that is mostly two lanes, winding, prone to landslides and rockfall and with almost no visibility during downpours. All three accidents occurring in the mid to late afternoon, when it downpours in the area at common. Recommended is slowing down, keeping a distance between, replace worn windshield wipers and turning on headlights, even if in the middle of the day. Better yet, avoid driving during the rain, don’t drive if tired and have a good set of tires. Just because your car passed the Riteve inspection does it mean your tires will do their thing when most needed, especially in the rain. The photos from Facebook Accidentes de Costa Rica and Ruta Alterna.